It can be a bit tricky learning to make healthy desserts but once you figure out the ratio of new sweeteners, it becomes a lot simpler. I like to use xylitol for most of my desserts (especially chocolate and baked goods) because you still get the bulk necessary for baked desserts and it doesn't taste bitter with chocolate (like Stevia can). 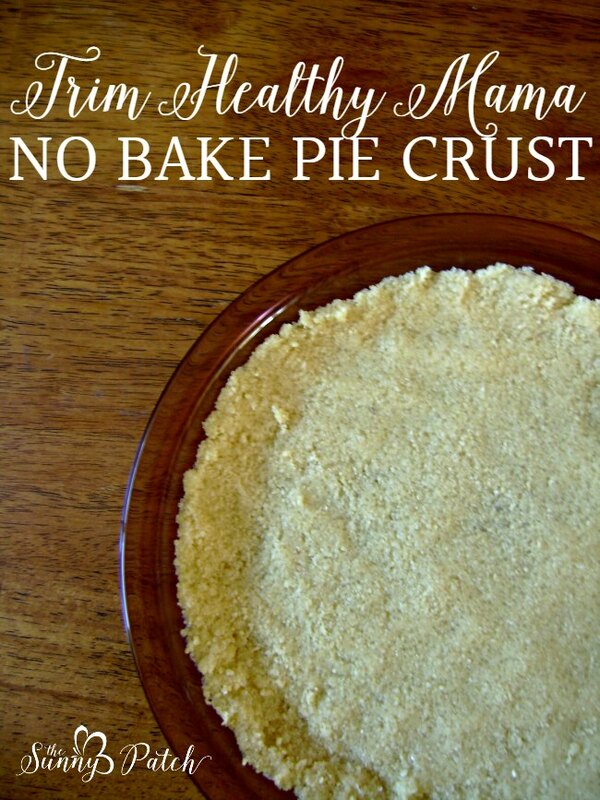 This Trim Healthy Mama no bake pie crust is so simple to make and a perfect replacement for those sweet graham cracker pie crusts. Almond flour is a great replacement and you won't miss those flour-laden pies with this crust! This no bake pie crust is perfect for low-carb custard-style pies or cheesecakes - wherever you would use a graham cracker crust. It can also be baked for a few minutes (no more than 15) if you prefer a crisp crust or need to bake your filling. It's easy to make a chocolate crust too - just add a few tablespoons of cocoa powder to the melted butter. Put almond flour in medium-sized mixing bowl. Add the xylitol to the melted butter and stir to dissolve. Add the butter & xylitol mixture to almond flour along with a pinch of salt. Press into pie pan or tart pan. Variation: Bake if you like a crisp crust - 350 for 12-15 minutes (don't overbake - just until golden brown). Chocolate version: Add 2 Tbsp cocoa powder to melted butter. Note: This fits the Trim Healthy guidelines for an "S" recipe.